Growing up in Detroit, you learned about those purple and gold Crown Royal bags before you ever knew what Crown Royal was. I use to stash my top secret special marbles in one that my older uncle gave me. He always seemed to have tons of them. 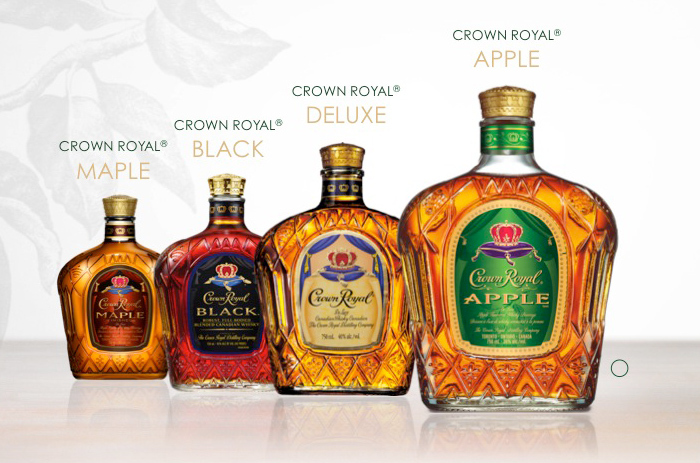 In college I fell back in love with Crown Royal again. This time thanks to the Washington Apple drink. It was my winter drink. Easy to make, tasty, and could carry a party well into the night. 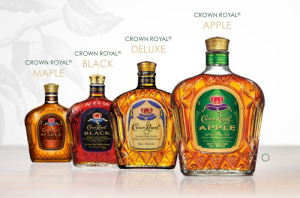 Recently Crown Royal Canadian Whisky has expanded its portfolio by bringing us Crown Royal Regal Apple. They have taken a classic and infused it with notes of fresh tart apple, while retaining that bold whiskey flavor I love. I was afraid of what this might taste like since I was not a fan of the Maple Series –way too strong of a flavor profile and way too sweet. Regal Apple, however, is able to find the right balance (at least for the first couple of drinks). After about the third one on the rocks, I was over the sweetness of the apple, but wasn’t completely turned off. This is a perfect mixing whiskey to blend and elevate some of your favorite whiskey cocktails and shooters. I used it in creating my beloved Washington Apple Cocktail and it was perfect. I served it with a hard apple cider and a friend couldn’t stop drinking it. Of course the green and gold bag speaks for itself. A few people might find their holiday gifts wrapped in it from me. Sometimes companies get iconic packaging that just works. These bags have been and will continue to be a staple in at least black communities for more than just storing liquor. I mean how many of us have our laundry quarters in one right now. Cost has averaged around $40 at the stores I could locate it at in NYC, however suggested retail is stated as being $24.99. Mark up is real in the city. Its worth a bottle to share and add to your collection if you want to kick up your favorite mixed drink recipe with a splash of apple flavor. I am also thinking about using this in my next apple crisp recipe, to give my apples a hint of the boozy caramel-ly goodness. 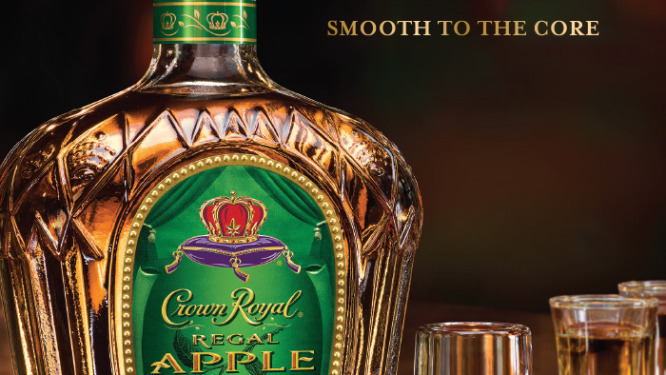 Have you tried Crown Royal Regal Apple? Have an amazing recipe you want to share? Looking for a nice winter cocktail, it was very smooth! Was very tasty, not strong at all, my new winter warmer!